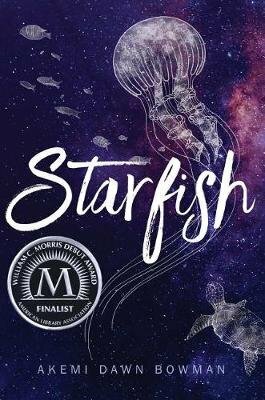 Starfish is a treasure chest, bursting with succulent emotions which spread over the reader trapping them within the words. I fell in love with the cover and then with Kiko who I identify with more than I want to admit. I was with her on this journey, all the way. With her insecurity and anxiety combined with honest, edgy emotions result in a powerful book which swept me up and kept me awake long into the night. Kiko has her own inner running dialogue expressed through her art which reminded me of Jandy Nelson’s I’ll Give You the Sun. This sensitive insight brings the book alive and binds us to her heart. Full review on my book blog: http://crushingcinders.com/starfish-by-akemi-dawn-bowman I was voluntarily provided with a complimentary review copy by the publisher.